Provide comfort for the family of Carolyn Mullens with a meaningful gesture of sympathy. Carolyn Gwin Mullens, of Ethel, went home to be with Lord on Monday, December 3, 2018 at the age of 70. She was retired from the Louisiana Department of Labor. A visitation will be held on Wednesday, December 5, 2018 from 5:00pm to 8:00pm at Charlet Funeral Home, Inc. in Zachary. Visitation continues on Thursday, December 6, 2018 from 2:00pm until service at 3:00pm. Burial will be at Buetoville Cemetery, Ethel. She is survived by her daughter, Dara Mullens, and her son, Richard ‘Blake’ Mullens and wife, Linda; her “adopted kids”, Deidra Goudeau and Burt Bishop; brother Harold Mullens and wife, Marian, and sister, Peggy Mullens Knapp; Best friends, Debra Sapp and Elizabeth Reese; and grand-daughter Cassie Broussard. She was preceded by her parents, Ruben and Maggie Mullens; brothers, L.D., Kenneth, and Clyde Mullens, sisters, Gurthel Martin and Grapel Rainey. A special thanks to Clarity Hospice/The Crossing and to all our friends and extended family for all the love and support given to us over the last few months. 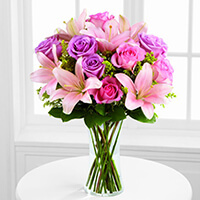 To send flowers in memory of Carolyn Gwin Mullens, please visit our Heartfelt Sympathies Store. Louisiana Metalsmiths Association sent flowers to the family of Carolyn Gwin Mullens. Dara I am so sorry to learn about your mom. I worked with her a long time ago. She was a very nice person and will be missed by many. So sorry for your loss. So many memories...I think I will start with some of my earliest memories of “Carney”. I am the one that gave her that nickname because when I was small I couldn’t say Carolyn...who knew it would be what everyone else would call her too. My earliest memories always center around Disney. My “Carney” would take me to every Disney movie that came out. It was a wonderful event to go to a Disney movie with her. We would usually go with the Ligon family and we would go to the theater to see the movie in downtown Baton Rouge and it was so magical. But the fun didn’t end once the movie was over because then Aunt Carney would take us across the street to the drug store with the soda fountain in the back and we would always get a treat. Whenever I think of Disney, I always think of my “Carney” so I will leave you with a quote from my favorite Disney character: “If you live to be a hundred, I want to live to be a hundred minus one day so I never have to live without you.” “If ever there is tomorrow when we're not together... there is something you must always remember. you are braver than you believe, stronger than you seem, and smarter than you think. But the most important thing is, even if we're apart... I'll always be with you.” “How lucky I am to have something that makes saying goodbye so hard.” “I think we dream so we don’t have to be apart for so long. If we’re in each other’s dreams, we can be together all the time.” I love you Carney! Louisiana Metalsmiths Association purchased the The FTD Farewell Too Soon Bouquet for the family of Carolyn Mullens.